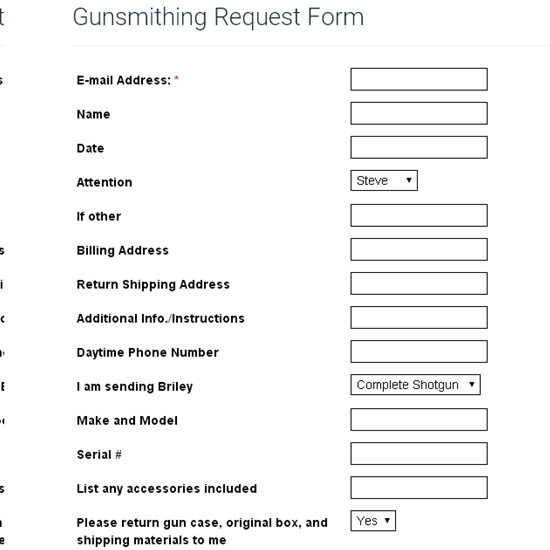 Briley Gunsmithing can provide you with all your gunsmithing needs. 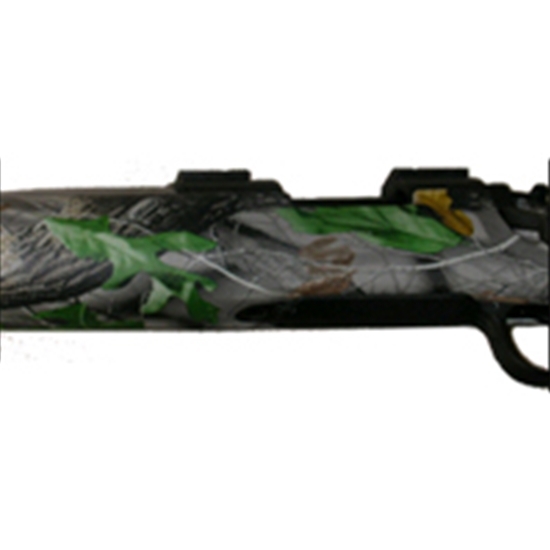 Our gunsmiths are highly trained to work on your shotguns, handguns, and rifles. 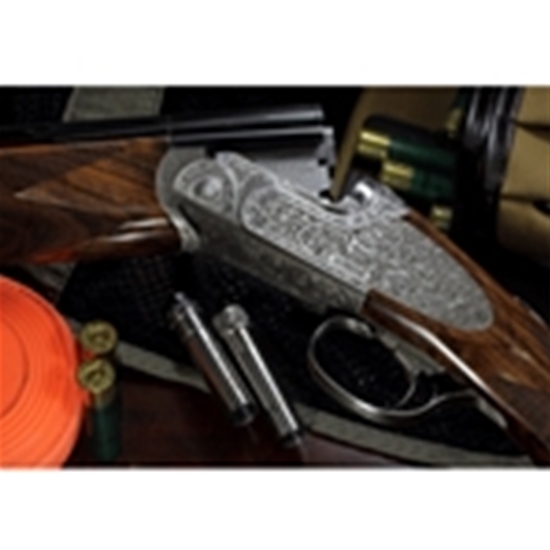 Our shotgun services include forcing cone lengthening, pad installation and barrel porting. 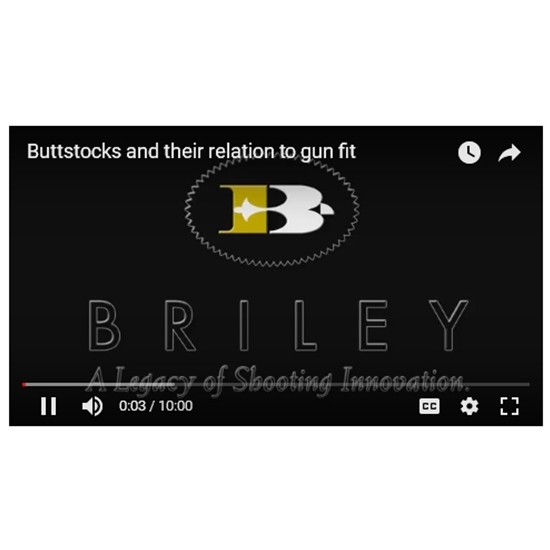 Rifle services include muzzle breaks and full cleaning. 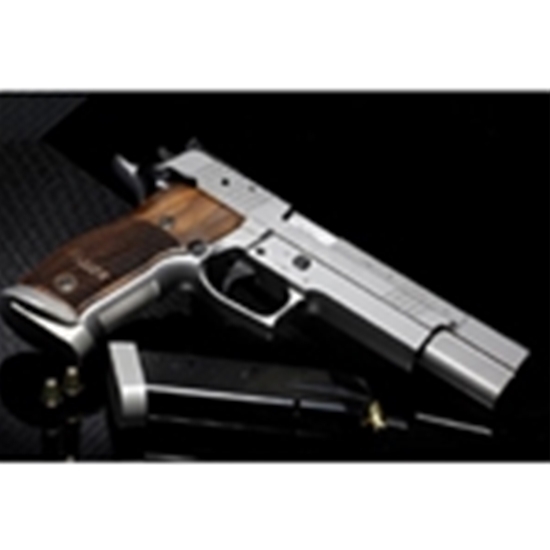 A full line of handgun gunsmithing is also available, from custom 1911 work to refinishing. 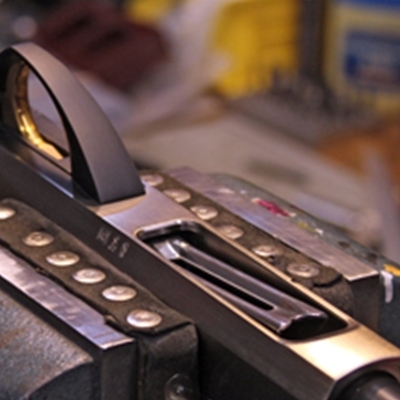 We also offer custom shotgun fittings Monday through Friday, 11am to 2pm. No appointment is necessary. 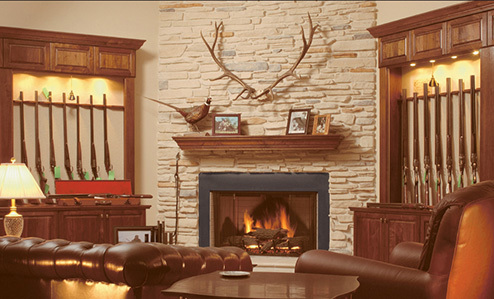 Fitting is done in our showroom at 1230 Lumpkin, Houston, Texas 77043 .